There was no superior opponent. The prize was tennis immortality. 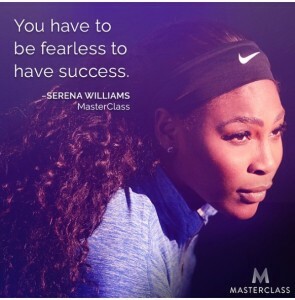 Serena was under crushing pressure. Vinci was a journeywoman playing in her first Slam semifinal. There were many crucial errors during the match. You could see her getting more confident. Serena wanted to pull herself out of that tailspin. She desperately needed to win. Now the dream is dead, likely to be dormant for awhile. the Grand Slam is a feat that is difficult to accomplish. The word choking was thrown ___ ___Twitter, but that’s not the right word here. 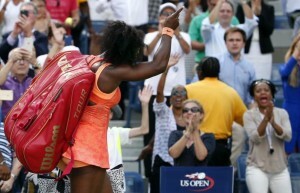 Serena’s loss was the culmination ___nine months ___building pressure that finally reared its paralyzing head. You could tell ___Serena’s overreactions ___ points: She desperately needed ___win. The following statement was taken from the article. 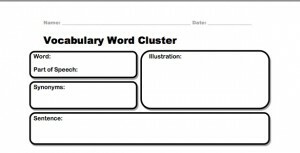 Rephrase the statement in your own words, then discuss the meaning with the members of your group. ESL Voices Invites Guest Teachers to Share Lessons! ESL Voices is in the process of creating a section for Guest teachers. There are many teachers who have wonderful and creative ways of teaching either second language learners or native English speakers. We realize that many excellent native English lesson plans are great starting points for ESL lessons at all levels. Hence we plan to accept and present both ESL and native English lesson plans. We’d like to share as many of these lessons and ideas as possible with other teachers. Teaching plans that are selected will be given full credit. In addition, sharing links to teaching sites is a wonderful way to build communications. So if you have a teaching website (your own or the institution where you work) please include it! This is also a way for teachers new to the field to become acquainted with ESL methods. We’ll be selecting approximately 2- 3 lessons per month, and each submission will be reviewed before posting. Teachers will be notified in advanced if their lesson plan is chosen. The following information provides guidelines for teachers to send their lessons to be highlighted on the ESL Voices teaching site. Lesson plan should be no longer than 1 web page (say, up to 3-4 typed physical pages) and should include the following guidelines. Objective: What will students learn from this lesson? You do not have to include an answer key, however, please include the source material on which your lesson is based. For example, a news article ( include the name of the paper and author) book excerpt (name and author) etc. We are aware that humans are a major cause of animal unhappiness. Even when there is an absence of neglect or abuse being captive can cause pain and trauma to animals. There are many humans devoted to making animals well, such as Dr. Vint Virga, also fondly known as the Animal Whisperer. “Dr. Vint Virga likes to arrive at a zoo several hours before it opens, when the sun is still in the trees and the lanes are quiet and the trash cans empty. Many of the animals haven’t yet slipped into their afternoon ma­laise, when they retreat, appearing to wait out the heat and the visitors and not do much of anything. Virga likes to creep to the edge of their enclosures and watch. He chooses a spot and tries not to vary it, he says, “to give the animals a sense of control.” Sometimes he watches an animal for hours, hardly moving. That’s because what to an average zoo visitor looks like frolicking or restlessness or even boredom looks to Virga like a lot more — looks, in fact, like a veritable Russian novel of truculence, joy, sociability, horniness, ire, protectiveness, deference, melancholy and even humor. The ability to interpret animal behavior, Virga says, is a function of temperament, curiosity and, mostly, decades of practice. It is not, it turns out, especially easy. Do you know what it means when an elephant lowers her head and folds her trunk underneath it? Or when a zebra wuffles, softly blowing air between her lips; or when a colobus monkey snuffles, sounding a little like a hog rooting in the mud? 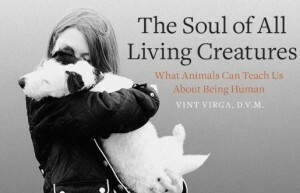 Dr. Vint Virga’s book- The Soul of All Living Creatures. Virga knows, because it is his job to know. He is a behaviorist, and what he does, expressed plainly, is see into the inner lives of animals. The profession is an odd one: It is largely unregulated, and declaring that you are an expert is sometimes enough to be taken for one.” Read more. Many of the animals haven’t yet slipped into their afternoon ma­laise. A profusion of recent studies has shown animals to be far closer to us than we previously believed. An unprecedented document was masterminded by Low . It asserted that mammals, birds and other creatures like octopuses possess consciousness. It is not the habit of researchers to speculate broadly about the implications of their work. Virga’s convictions about animal individuality predate the recent science. Hypotheses about animal cognition is fascinating to consider but they aren’t always germane to a behaviorist. On my first visit there, Virga and I found ourselves in the middle of a good-size commotion. Still, there’s no denying the public qualms about the entire project of keeping our animal friends captive. Yet avoiding anthropomorphism at all costs may be the main cause of the schism between scientists and the public. 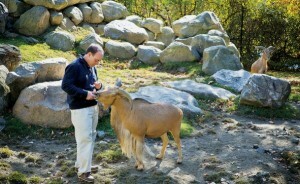 Dr. Vint Virga likes to arrive at a zoo when it opens to observe the people interacting with the animals. Sometimes he watches an animal for hours, hardly moving. The ability to interpret animal behavior is easy. Dr. Vint Virga is a behaviorist. Virga believes that his patients possess unique personalities and vibrant emotional lives. He follows the research, and Virga, 56, is a researcher. Zoos contact Virga when animals develop difficulties that vets and keepers cannot address. Dr. Vint Virga lives in California and has worked with the zoo for six years. Virga happens to be a veterinarian whose full-time job is tending to the psychological welfare of animals in captivity. Dr. Vint Virga may take the animals home with him to study. Dr. Vint Virga likes to arrive at a zoo several hours before it opens. Virga chooses a spot and tries not to vary it. The abilities to interpret animal behavior is not easy. Virga know, because it is his job to know. The profession is an odd one. He works with zoos across the United States and in Europe. The notion that animals think and feel may be rampant among pet owners. These day, moats and glass have replaced cages. Clouded leopards are among the most solitary of the large cats. 1. The following 3 statements are from the article. Put them into your words then discuss the issues with your group members. 2. If you own pets how do you treat them? For example like members of your family where they reside in the house or remain outside? Are you aware of your pets’s moods? If you don’t have a pet is there any particular reason why? Not all people like animals. 3. In your opinion, can animals experience emotions like humans? For example, sadness, joy, or anger? 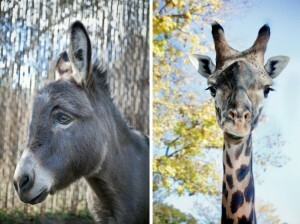 Is the zoo really any place to keep/kept animals such as these? Should we really be keeping while/wild animals in captivity just for our entertainment? What quality/quilt of life can we hope to offer them? And in real/reality what life do they really get? Space rarely/rare if ever, matches the animal’s natural range and more commonly is reduced instead to virtually nothing. Animals which left to themselves would roam/room for tens of miles a day, tread the same few paces daily. Some of the fastest animals on earth live in pens so small they could not gather pace to a trot/tot, let alone full speed. Birds are virtually stripped/strip of their most precious gift, flight. But it is not just a matter of space it is also the quantity/quality of the environment. Even some zoos are starting to admit/admitted that certain animals like Polar bears shouldn’t be there at all. List at least 3 reasons why captured zoo animals are upset. Did you agree with everything the speaker said? Discuss which comments you agreed with and which ones you tended not to agree with. Explain why. Can you think of ways to provide comfort to captured animals? With your group members, make up questions that you would like to ask the speaker or Dr. Virga.